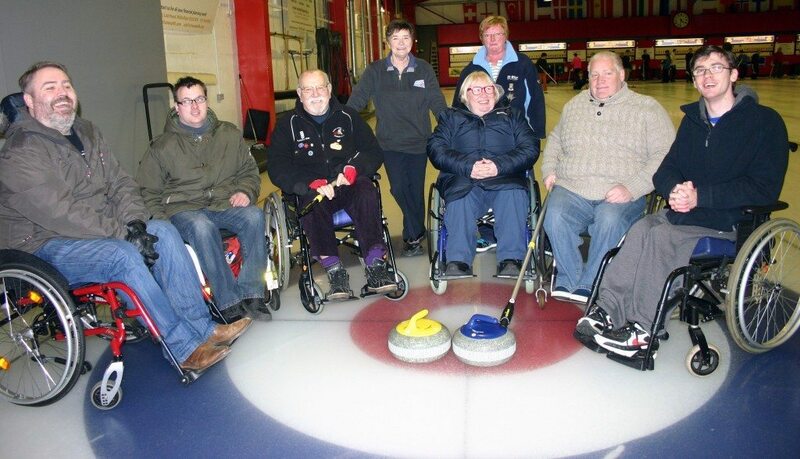 Murrayfield Curling Rink is home to more than 80 clubs, so there’s sure to be one that suits your needs. Below is a list of clubs who are welcoming new members, organised by day and time of their typical games. If you have questions or would like additional guidance, please feel free to contact the office. Crerar Seniors Curling Club Yes Mixed Monday 2:30 p.m.
Edinburgh BMA Ladies Curling Club Yes Women Tuesday 9:45 a.m.
Edinburgh Ladies Curling Club Yes Women Tuesday 12:05 p.m.
Edinburgh University Curling Club Yes Mixed University students Wednesday 2:30 p.m.
Ford Ladies Curling Club Yes Women Thursday 12:05 p.m.
Haymarket Curling Club Yes Mixed Wednesday 9:45 a.m.
Lothian Ladies Curling Club Yes Women Wednesday 9:45 a.m.
Lothian Wheelchair Curling Club Yes Mixed Wheelchair users Thursday 9:45 a.m.
Peebles Ladies Curling Club Yes Women Thursday 12:05 p.m.
Pentland Ladies Curling Club Yes Women Wednesday 12:05 p.m.
Veterans Curling Club Yes Mixed Age 55 and over Mon/Tues/ Thurs/Fri 9:45 a.m.
Gas Curlers Yes Men but welcoming women Tues/ Wed/Thurs 5:30 p.m.
Gogar Park Young Curlers Yes Mixed Ages 8-21 Sunday 10:00 a.m.